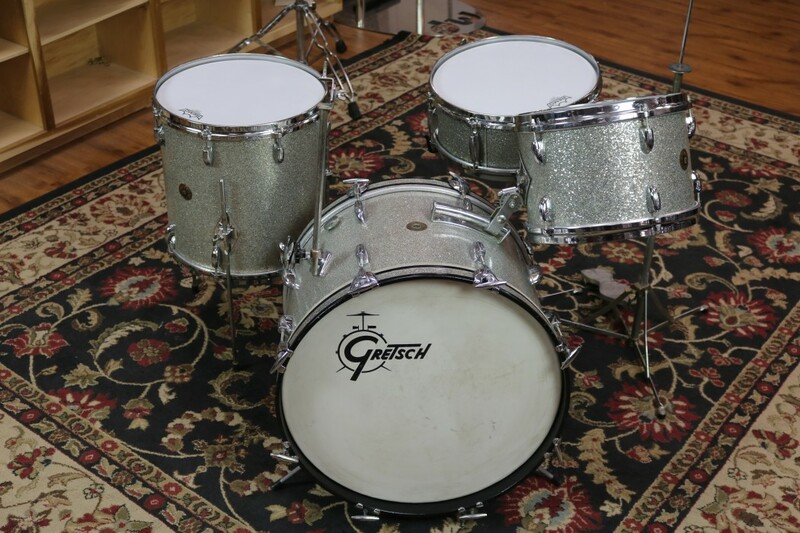 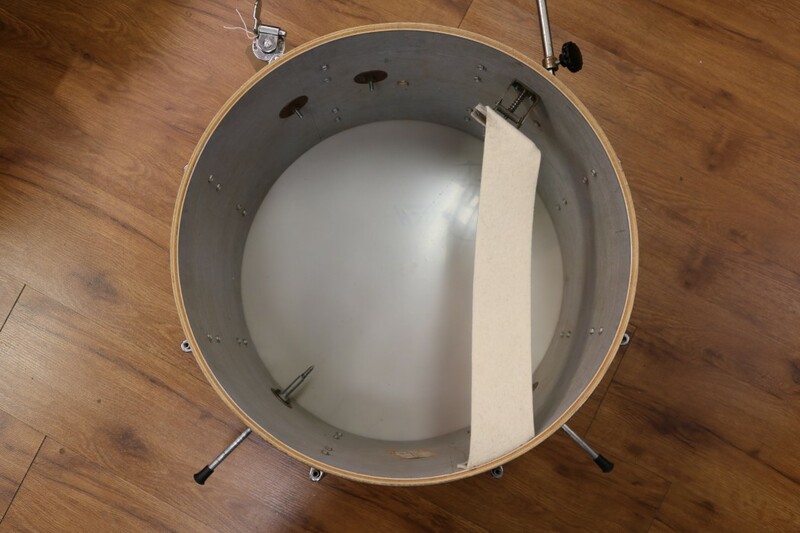 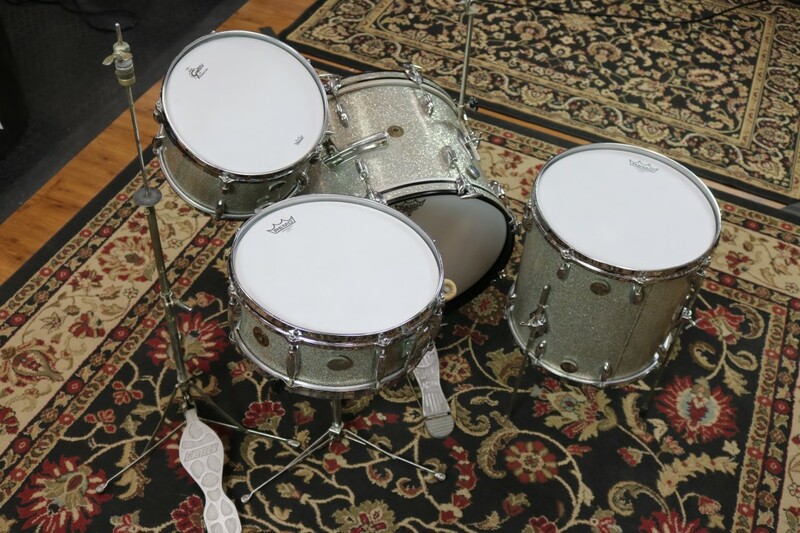 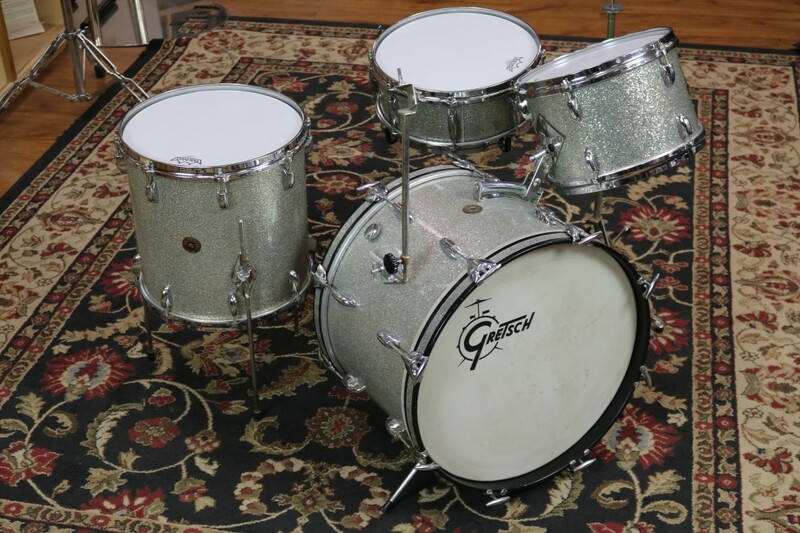 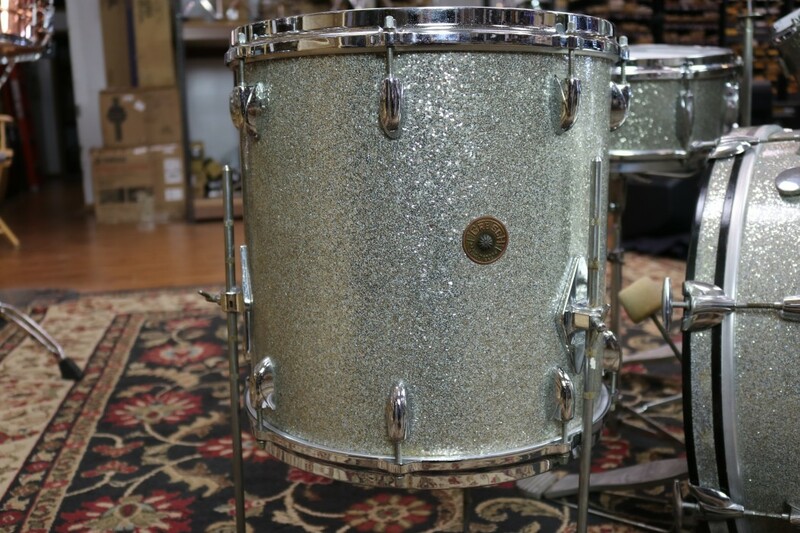 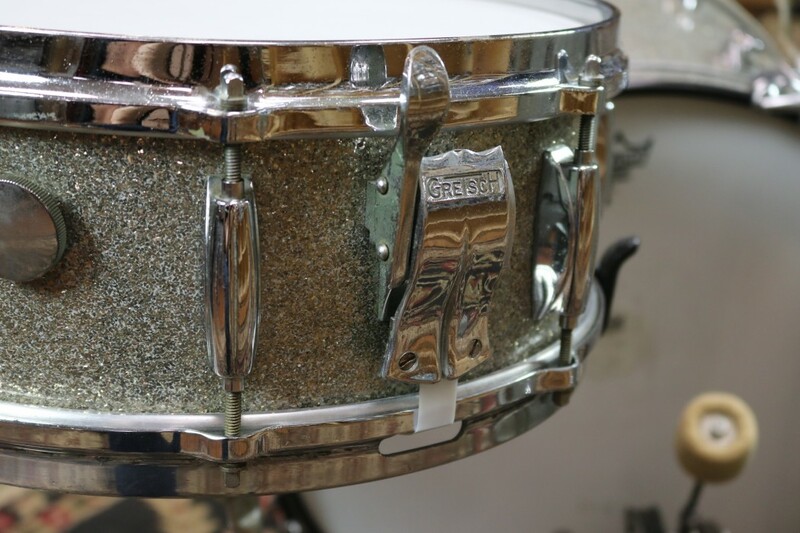 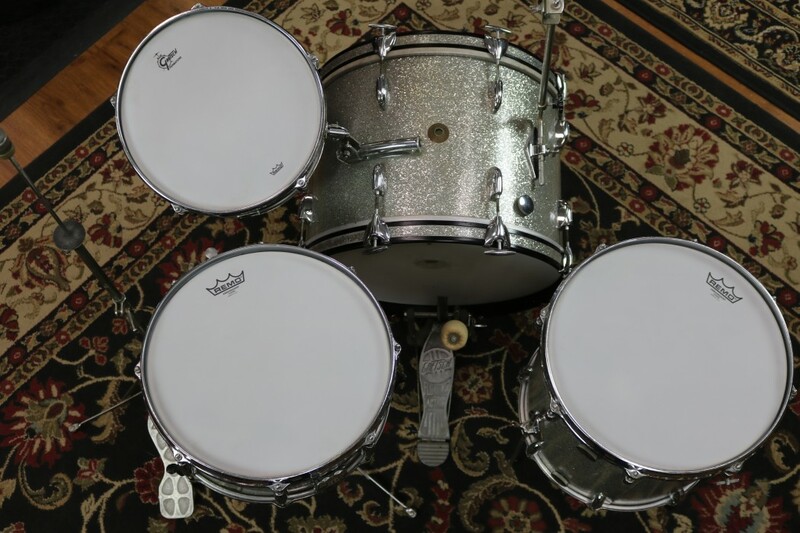 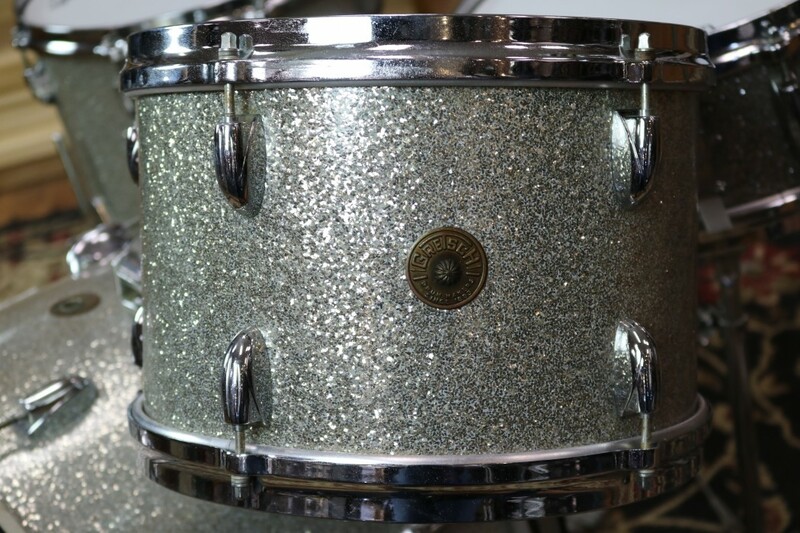 This vintage Gretsch kit is in very good condition with some slight lifting in the wrap in some places. 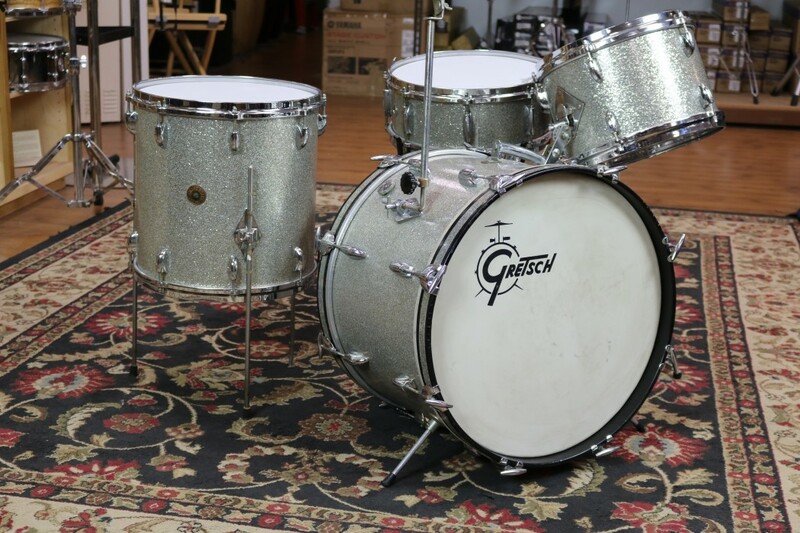 The sizes are 14x20 bass drum, 8x12 mounted tom, 14x14 floor tom and matching 5.5x14 snare drum with a Lightning throw off. 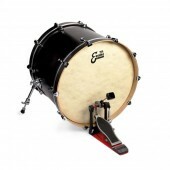 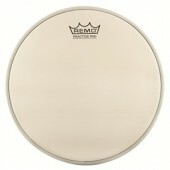 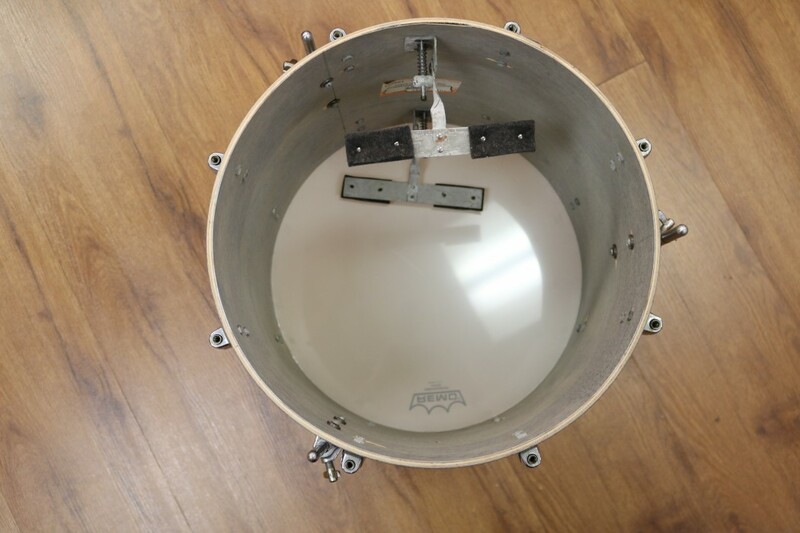 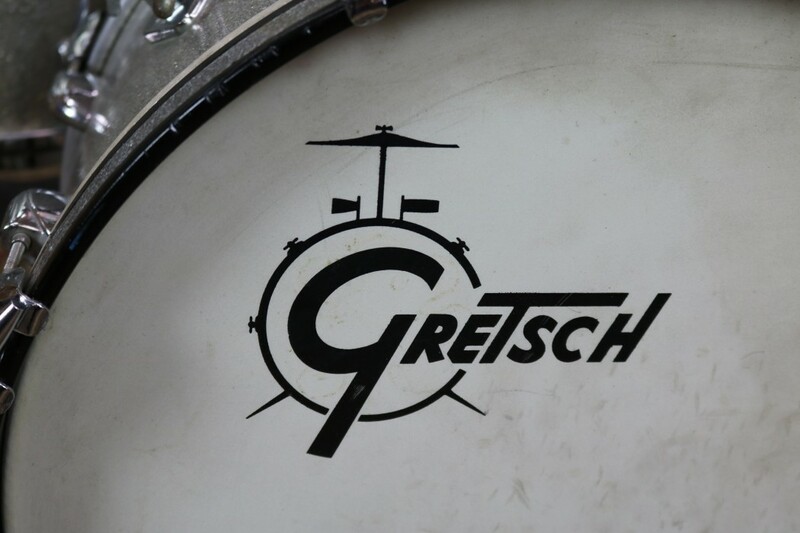 The hardware included with the kit is original Gretsch flat base hi hat stand, snare stand, L-Arm and bass drum pedal. 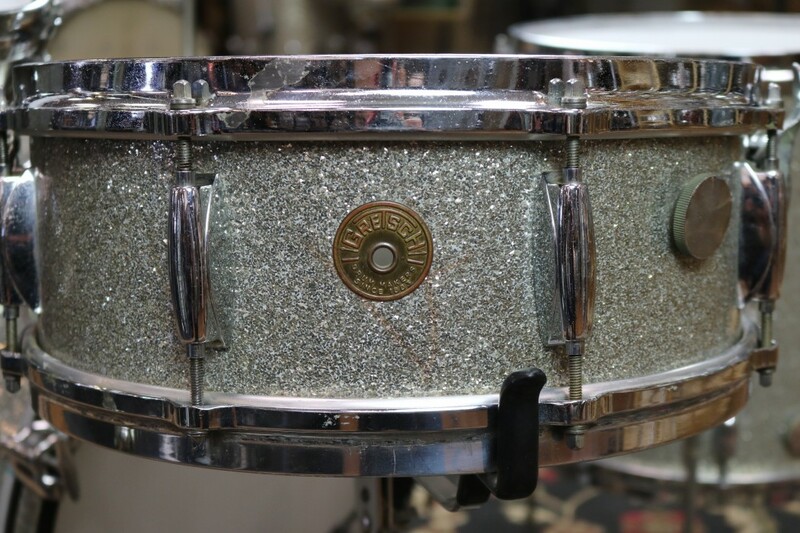 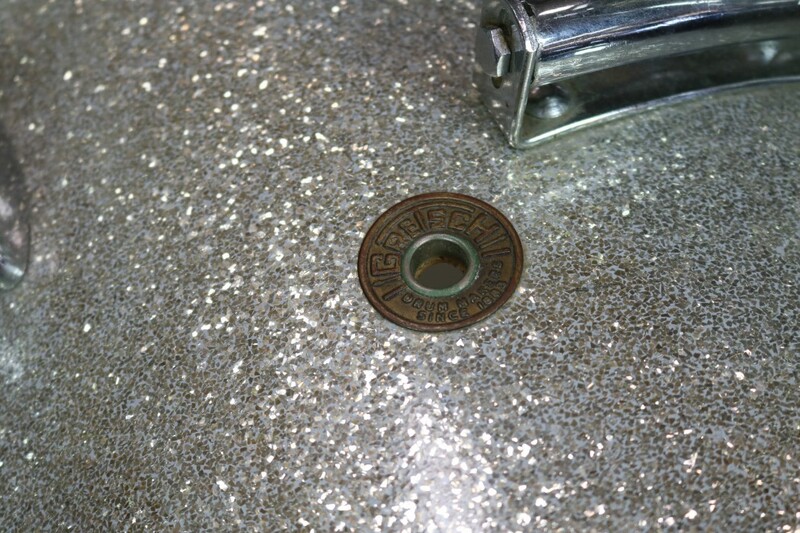 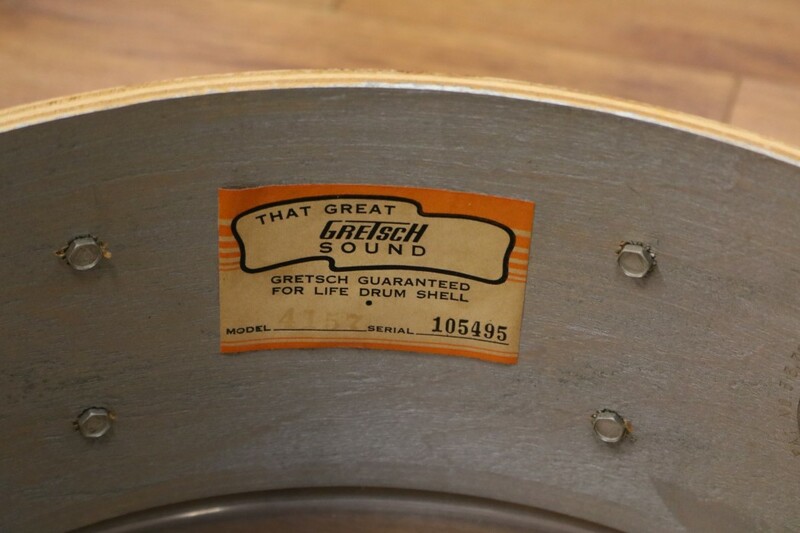 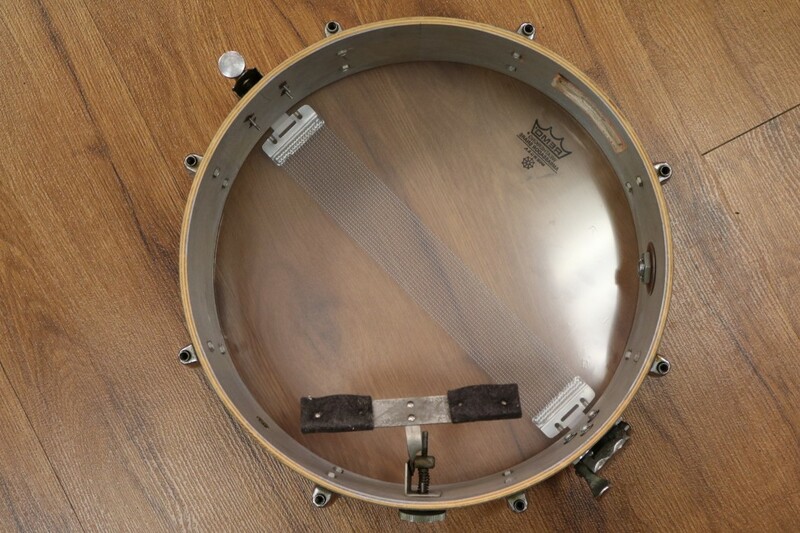 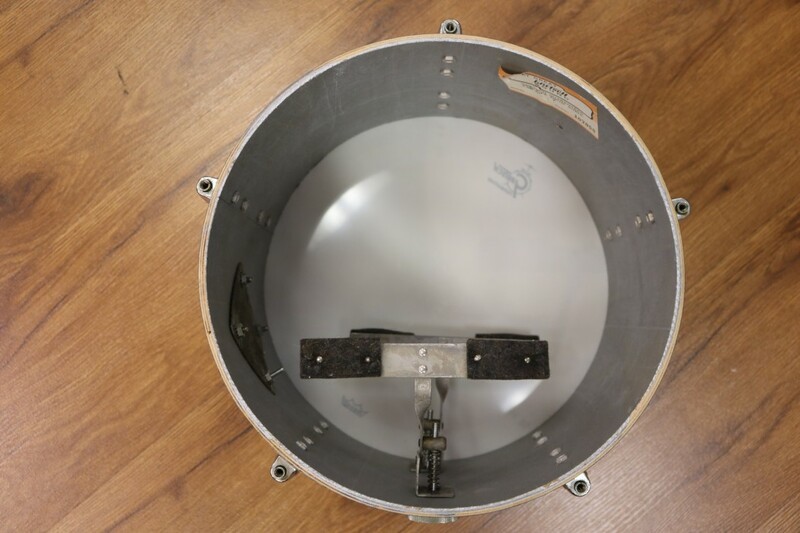 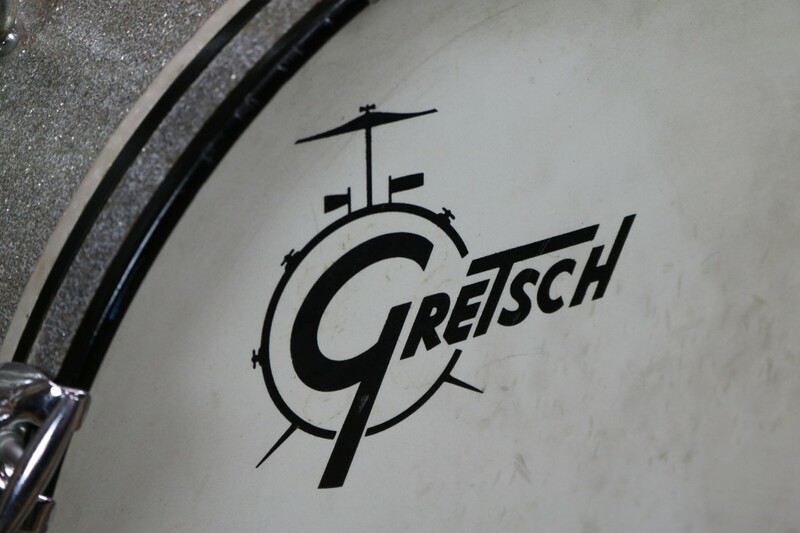 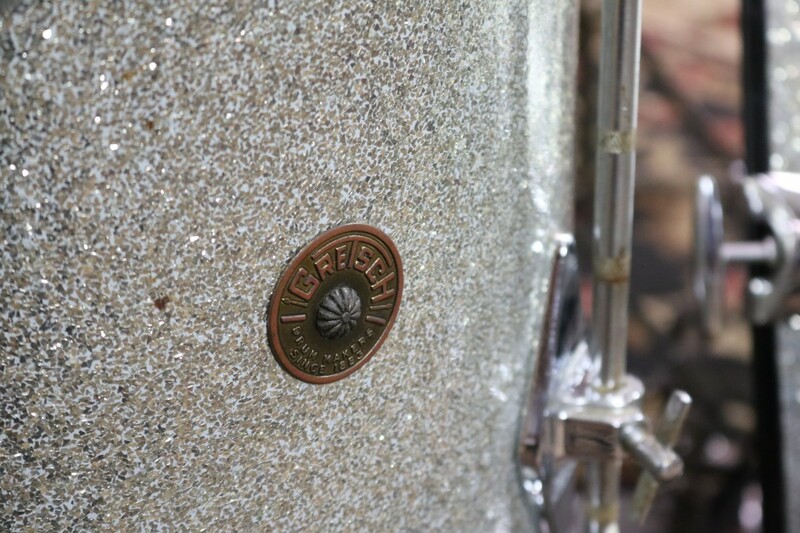 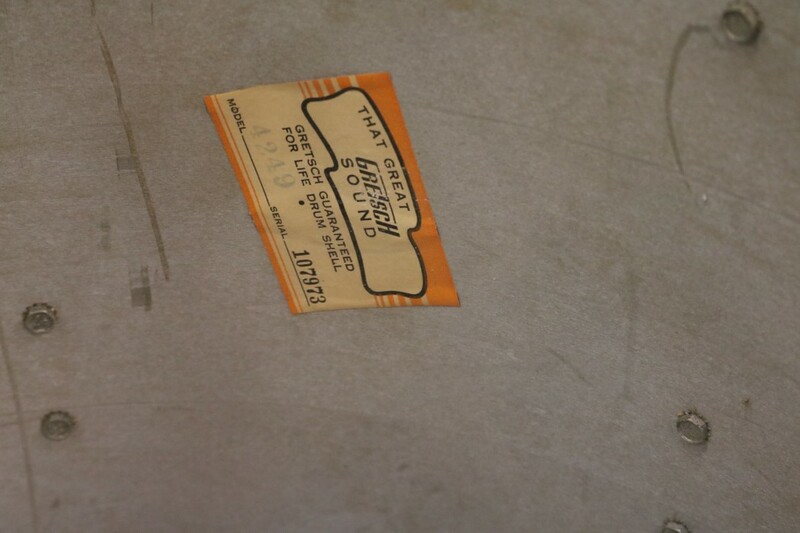 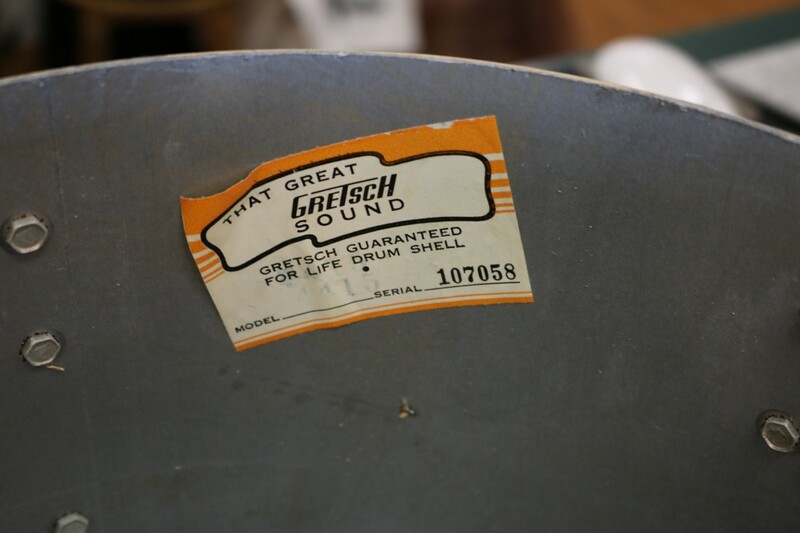 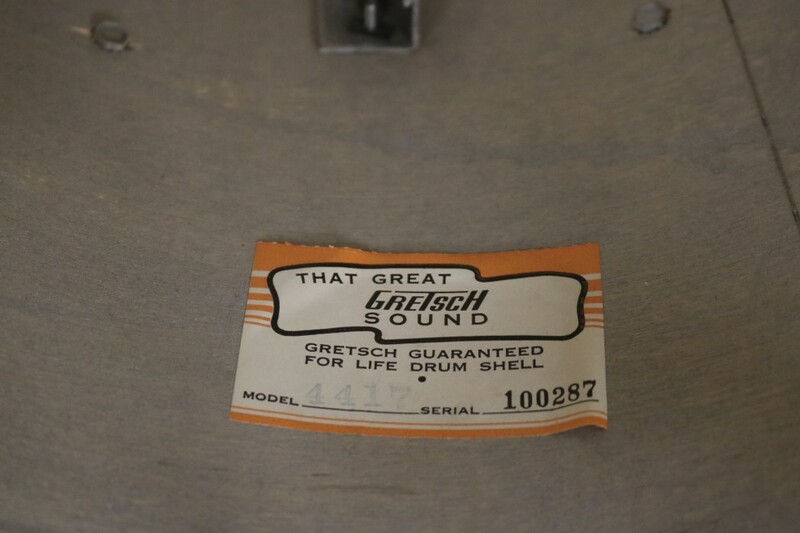 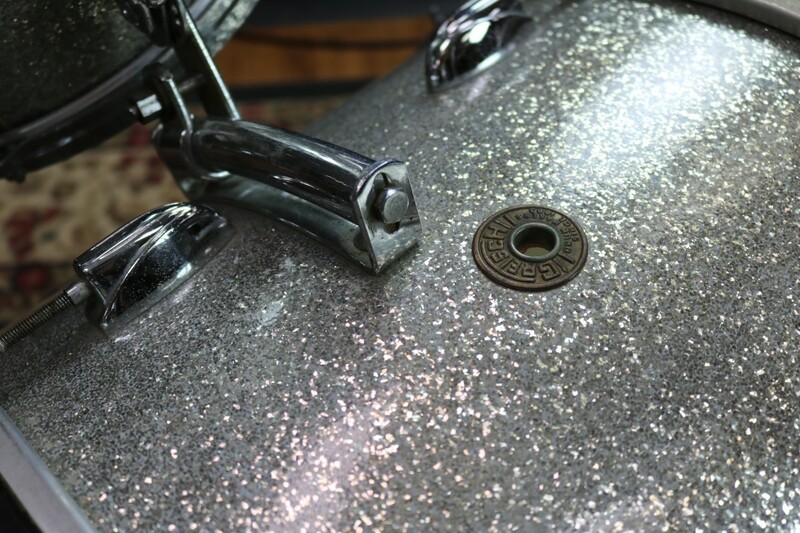 Bass drum features original Gretsch front bass head.